Sir William Angliss was one of Australia's most prominent early businessmen. He pioneered frozen meat exporting in Australia and by the 1930's had established probably the largest personally controlled meat enterprise in the British Empire. 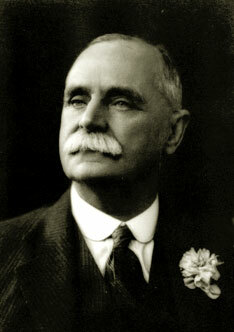 Sir William was knighted in 1939 and served as a member of the Legislative Council of Victoria from 1912 to 1952. He not only chaired many private companies, but was also actively involved in charity work, supporting the Salvation Army, movements to settle migrant children in Australia and endowments to various hospitals. Through his Will he continued his philanthropy by establishing two Charitable Funds, one in Victoria and the other in Queensland to be held in perpetuity upon trust. The income of the Funds were to be applied to charitable purposes.